Resident Foodies say: Panera Bread is one of our favorite “fast food” places. Their bread is yummy, and their stock is on a tear these days. 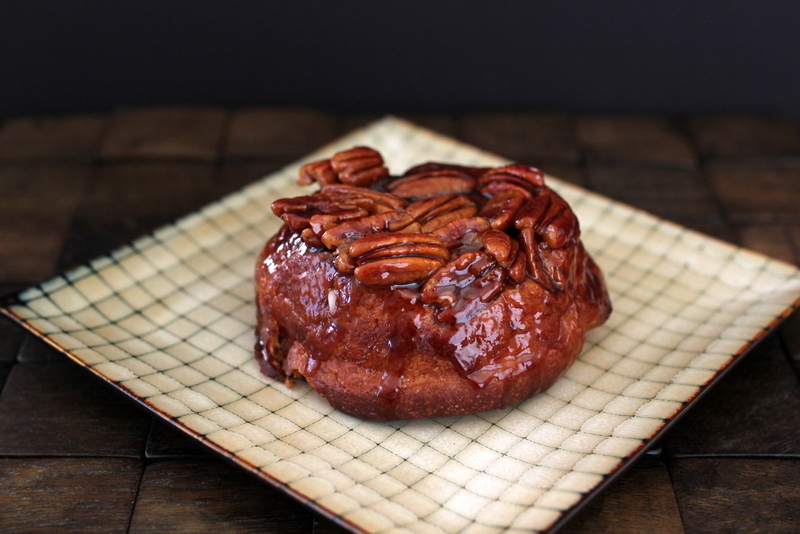 Today we picked up this glazed pecan roll, baked to perfection. What we like most: The color of the bread matches perfectly the color of the pecans. This is an incredible feat–no doubt the result of much testing and perfecting in the oven. The combination of pecans and soft bread gives the roll an incredible texture, softness with a nice crunch. And who can forget the sugary glaze that coats the roll–and, afterwards, your hands–with guilt-laden gooeyness. 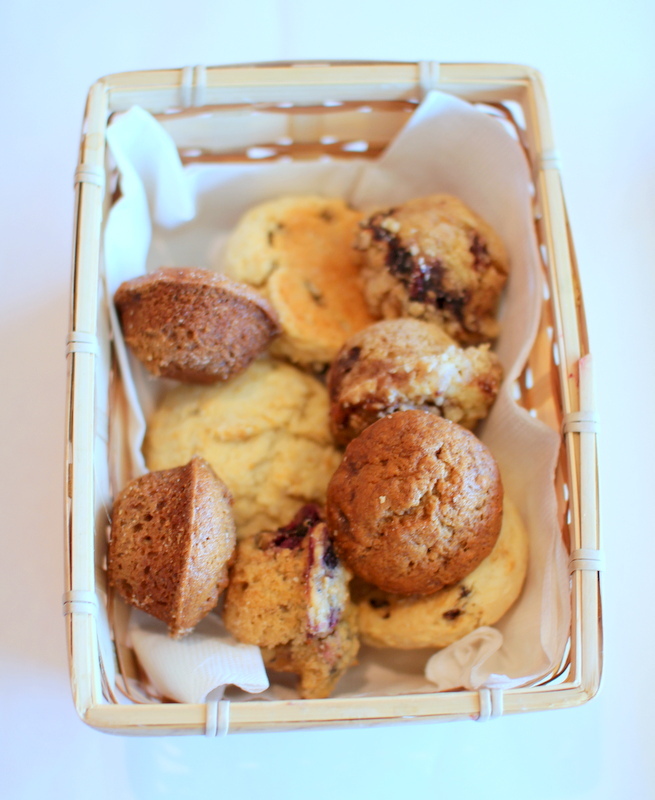 Resident Foodies say: One of the true delights of Town’s End Restaurant and Bakery in San Francisco is the complimentary basket of muffins and biscuits that awaits you when you are seated. Today we had both blueberry and gingerbread mini muffins, and biscuits. Delightful! Resident Foodies say: Emporio Rulli is right in Union Square in San Francisco and is a favorite among travelers, especially from Europe. 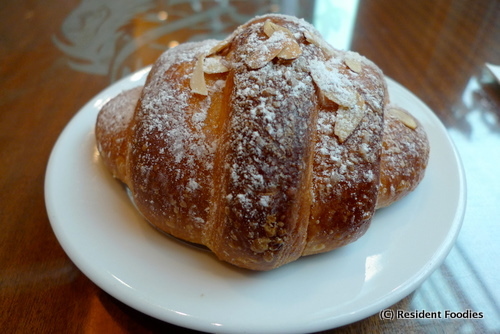 This almond brioche was beautifully baked, and delightful to consume.